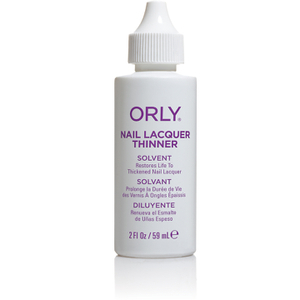 Established in the 1970's, ORLY created the iconic French manicure to complement Hollywood star's entire on-set wardrobes. After being showcased on Parisian catwalks, ORLY became an instant classic that is still as popular today and remains the trendsetter when it comes to fashion for nails. Taking influence from the catwalk, ORLY's seasonal collections go hand in hand with fashion trends and showcase everything you need to keep your hands and feet in the red carpet style they deserve. Save 15% on Orly. Discount already taken from the RRP. Offer valid for a limited time only.